The unquestionable comeback of the culottes are already floating upon us and so I thought it was only appropriate to turn it into a Sunday Inspiration post! Culottes are actually a fashion trend that was blossoming around springtime of this year, but I think that they carry such an awesome fashion statement that it should be considered acceptable for casual everyday fashion, regardless of what season it is. Okay technically, they should probably be stashed away for winter, but other than that, I think culottes can be worn very easily and do have a way of making your outfit look very expensive. You can wear it with a good halter top, or a simple shirt, blouse, or whatever way works. It's quite easy to pull off, not to mention how awesome it is that it gives you the freedom of wearing pants, but the silhouette play of wearing a skirt. I love this trend, and as I'm still on the quest of finding a good pair to purchase, it's no question that they create a very well-structured, put-together look. Effortless, yet very chic. Laidback, but stylish. Loose, but sophisticated. Old-fashioned (for it actually started way back in the 80s), but modern and sleek. I think culottes are best worn with a widening silhouette towards the bottom, meaning that it would be best to choose a top that's quite simple, maybe form-fitting, a crop, or just loose with a normal length. Culottes should be the highlight of the outfit, because it takes up most of the room for attention. It shows off your ankles so you can wear it with any flexible type of footwear (although perhaps boots won't be such a great idea.) Sandals and heels would work best. To wear this great fashion piece, you don't have to conform to a certain body type. It can hang perfectly from the waist of any body figure and flatters the legs quite nicely. Unlike flare jeans or pants, you don't have to be 6'1" to wear them. So this year, if you are trying to upgrade your wardrobe and step up your game with the everyday outfits, culottes are definitely a must-try trend. Frankly, this one simple item could actually make you look like one of those rich fashion bloggers on Pinterest. No, seriously, try one on. 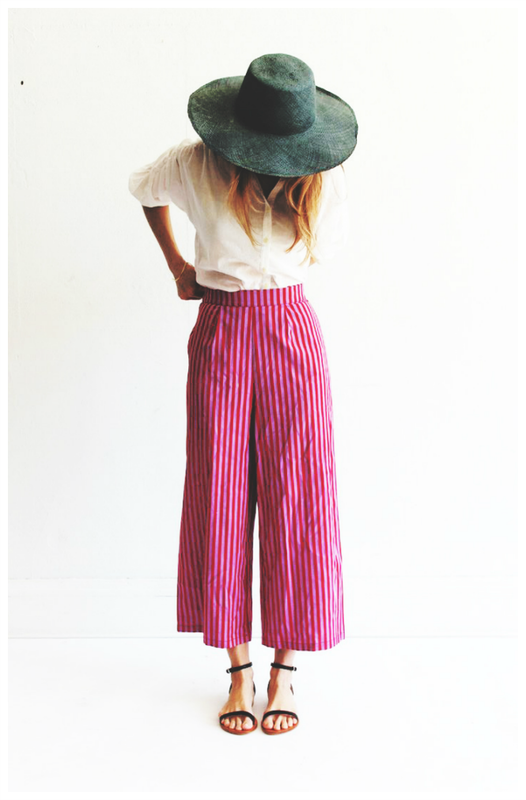 I would love to try to culottes trend but being petite I am so nervous it might make me look even shorter. Oh wow I've never really been into this trend but all of this inspiration on this post is starting to make me re-think the culotte! Although I suppose as I cover all of my skin, I think these might get tricky! I suppose I could wear leggings under them hahah but that might look silly! But I definitely think you could pull it off! (can't wait to see photos heheh)! 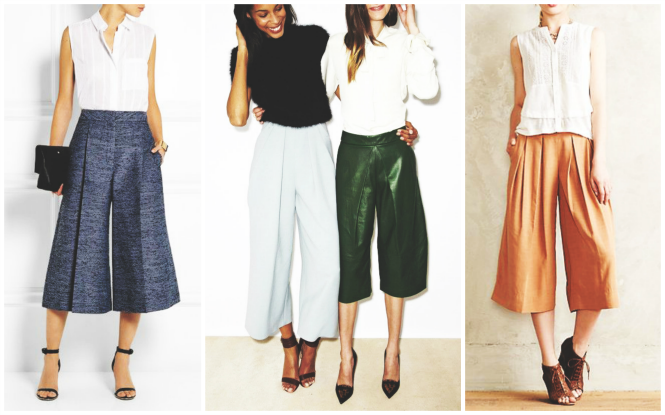 Culottes were so big this spring, and I think they're such an interesting trend! I'm not sure how I would style a pair if I got some though. Thanks for sharing! They seem like the kind of trousers I'd want to rock, but don't know if I'd be able to! So in love with the pink striped pair - they're gorgeous! 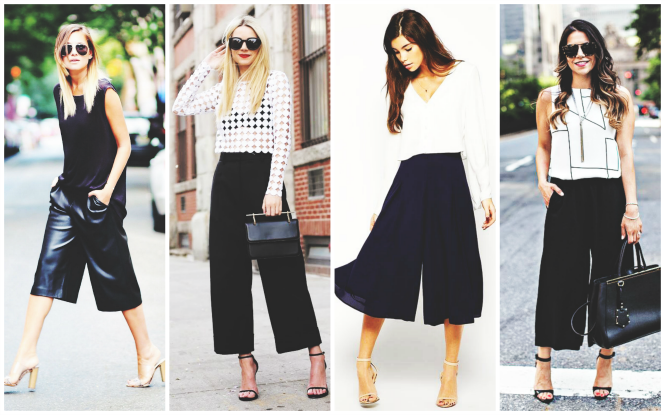 I love culottes! really nice pictures and inspiration! In case you happen to be searching for one shoulder homecoming dresses, we suggest you get the best online shops that have the widest collection and largest stock. No matter what your budget might be, you will find a prom dress in the color you prefer, the size that suits as well as style you adore.